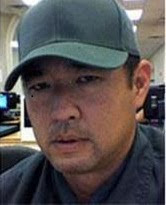 In Silver Spring, Maryland - just outside Washington, DC, a man named James Lee took three people hostage at the Discovery Channel headquarters (source). After what was no doubt a tense situation, Montgomery County police shot and killed Lee. Of course, after so many recent headlines of former employees "going postal" at their old offices, one might assume this was the cause of the incident. In hard economic times, we tend to see people at their worst. Foreign terrorism or a randomly-disturbed individual are, unfortunately, also familiar themes. Yet these were not the axes that James Lee had to grind. Lee's wide ranging, rambling demands of Discovery Communications, released in full (source), center on the cessation of human population growth, ending the glorification of war, promoting broader appreciation of biodiversity, and dismantling the capitalist economic system. "So it continues to be seen that it is completely inevitable that our population must continue to grow to 8 billion, 10 billion, 12 billion. If this happens, I'm afraid I see no hope for our species. This disastrous trend... is reversible; but only if people in general come to understand that it MUST be reversed, for the sake of our own survival." This post is not intended to condone Lee's violent actions or even his rather naive and delusional demands. Taking hostages at gunpoint rarely results in a productive petitioning of grievances. In this case, it just left the hostage-taker dead. It is also highly unlikely that Discovery Channel, driven by demands for ratings and sensational programming, would ever take the critical, sobering position that human population growth is unsustainable and widespread measures should be taken to curb further population explosion. I'M NOT GOING TO TAKE IT ANYMORE!" But are James Lee's beliefs about human civilization "crazy?" 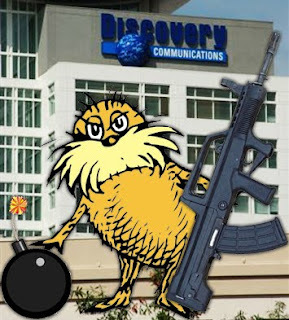 Recall the Dr. Seuss fable, "The Lorax" (full video here) in which a small creature emerges from a deforested landscape to "speak for the trees." Before we put James Lee's short-lived infamy out of our minds and busy ourselves with other affairs, we might do well to ask ourselves: on behalf of how many extinct species, how many decimated old world forests, and how many polluted oceans might Lee be speaking? Before we label that which we find abhorrent to be "crazy," as was the case with the 1995 Unabomber manifesto "Industrial Civilization and its Future," (full text here) penned by Theodore Kaczynski, we should stop for a moment. Overpopulation remains a very real concern on many levels - from limited resources such as drinkable water and arable soil to dwindling supplies of cheaply-extracted petroleum (source). Not to mention, of course the Sixth Extinction, a broad and far-reaching holocaust of plants and animals caused by the actions of humans beings (source). These are not imagined problems; their threat to life on Earth (human and non) are undeniable by serious people. "The world needs TV shows that DEVELOP solutions to the problems that humans are causing, not stupify the people into destroying the world. Not encouraging them to breed more environmentally harmful humans. The humans? The planet does not need humans." Yes James, of course the squirrels. And while the planet does not need humans, humans do need this planet. If anything positive is to come of this frightening hostage situation today, let it be that of the Greek mythology of Cassandra (read more about this here). Sometimes, having an acute perception can drive one crazy. While Jame's Lee's actions were completely indefensible, his underlying perception of human overpopulation and environmental destruction wrought by narrow pursuits of profit warrant serious consideration. "In the game of life and evolution there are three players at the table: human beings, nature, and machines. I am firmly on the side of nature. But nature, I suspect, is on the side of the machines." —George Dyson, "Darwin Among the Machines"
I'm still stuck on this one. I see nations of people paying for medicine, therapy, going to court... this meme in recent human history, that the brain is much more fragile than the stories and language and art it's produced. How fortunate is one, in the year 2010, to enjoy focused imagination? I remember a Green Party rally at the University when Nader was running, led by Jello Biafra of the Dead Kennedys. He knew his audience and asked for moderation. Something like, "Be a martyr, make it public, get violent. You'll be branded a lunatic. Be a hermit, be silent, you've saved no one but yourself. I don't want to die, I don't want to live alone." Of course, the greatest compliment a person receives for their thoughts is criticism. Quinn had an acute perception of Project Civilization and all its consequences. James Lee did not. Eric and Dylan, and Ted, did not. It's important to recognize the intellectual gap between holding a book in one hand with a trigger grasped with the other, and simply writing a book. Calling into question the foundations of our empires, with the safety of everything on this planet foremost in one's mind... it's the only act of progress worth documenting with any optimism. James Lee, at best, will be granted the roll of "Everyman" or "Adam", in this weird era of poetic fallibility... the anti-hero, i guess. How bad can we get while still being the good guys.